Liberty Ridge on Mt. 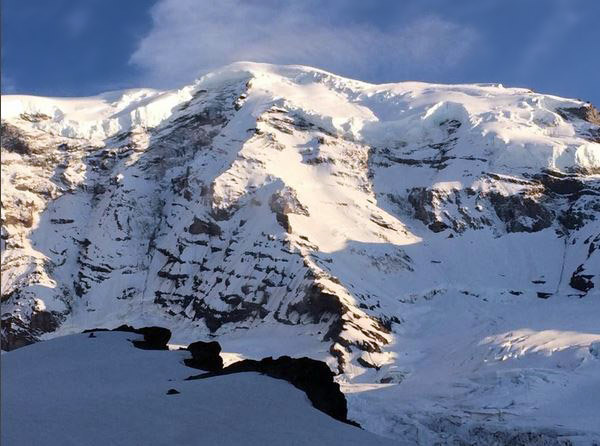 Rainier is a classic and it is our most advanced level climb and mountaineering instruction program. It is considered the premiere guided route on Mt. Rainier and is the most technically demanding of the instructional based climbs we offer on the mountain. All prospective climbers must have past experience and the training conducted throughout the climb will be focused on fine tuning pre-existing skills to minimize risk and increase efficiency on the route. The route is a prominent ridge that divides the Willis and Liberty Walls on the North Face of Mt. Rainier. It is steep, exposed, and committing. 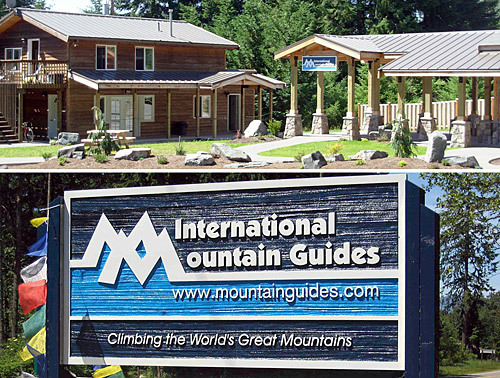 Our training curriculum begins at our facilities in Ashford with a half day pre-climb orientation and instructional meeting at IMG's Headquarters in Ashford, just outside the park. On day 2 we shuttle the team around to the east side of the mountain to the White River entrance for the start of the climb. We incorporate training en route during each day of the ascent to increase climbers' confidence, efficiency and learning to minimize risk. The approach to this route is long and fairly involved, and circumnavigates part of Mt. Rainier on its north-eastern flank. 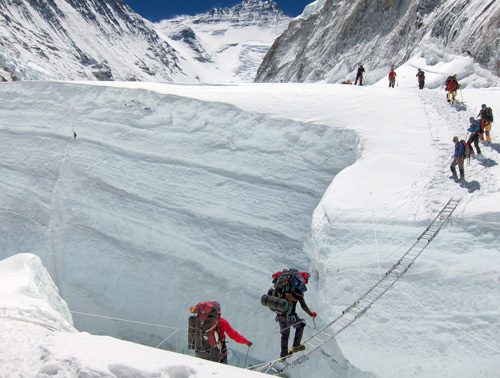 We climb the route using two or more camps as we progress to successively higher altitudes. Technical difficulties start at the base of the ridge, 8,600ft and end at Liberty Cap, 14,112 ft. The climb ends with a long trudge across a saddle to the true summit, Columbia Crest, 14,411 ft. We carry our gear up and over the top with us and descend the technically easier Emmons Glacier route and back out via the White River entrance. Another option is to descend the Disappointment Cleaver route down to Paradise. Four days are the minimum time required to complete the climb, but we offer a 5½ day program that allows for an extra weather day. 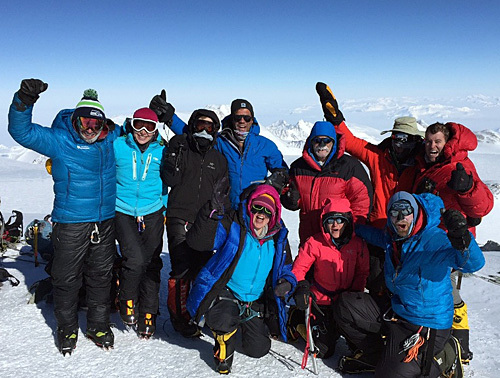 This is an excellent advanced mountaineering skills curriculum program for anyone with prior alpine climbing experience looking to increase their skills to a very high level of competence on a very physically demanding and technically challenging climb. Liberty Ridge is listed as one of the "Fifty Classic Climbs in North America" because of its continuously challenging nature and its striking beauty. The setting is an exposed and committing ascent of a ridge dividing two of the most impressive walls on the mountain. If you have climbed routes on Mt. Rainier or other peaks and not felt technically challenged, then this is an excellent choice for you to continue to increase your skills on. It is a great opportunity to utilize your steep snow and ice climbing ability on moderately steep and very exposed terrain and move to a higher level of proficiency with our experienced instructors. If you are considering other steep, high-altitude routes either with guides or on your own, this program is a great step towards that goal. 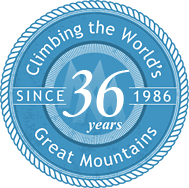 You will be climbing with and learning from some of the most knowledgeable, capable, and experienced mountaineering instructors and guides available and benefiting from their extensive experience on steep, technical terrain. 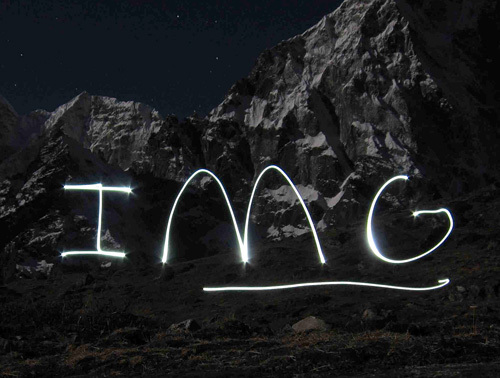 We employ a light and efficient philosophy for climbing on this program. As every ounce counts on the climb, we will help you accumulate the necessary gear and will check it over again prior to the start of the program. Climbing with a 2:1 client-to-guide ratio provides a superior level of support and instruction. 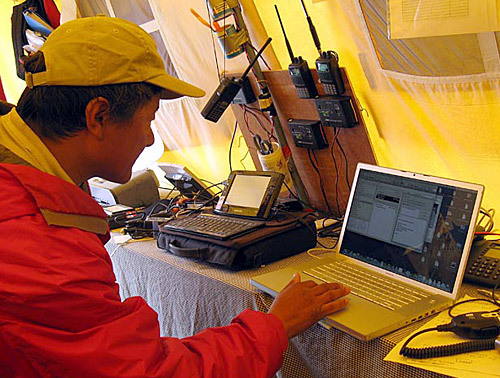 Previous technical training and climbing experience is required to participate in this program. Participants must be fit and ready to learn more advanced skills during the course of the program. Prior training in ice climbing following multi-pitch climbs of Alpine Ice Grade III or higher is necessary. 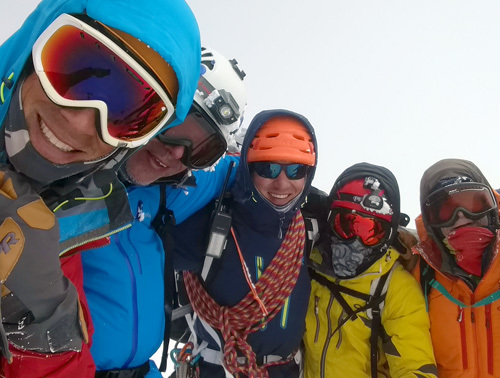 In addition team members must have participated in previous multi-day ascents of technical snow/ice routes of 3,000 or more feet in length and 30-60 degrees in angle for most of the route. Finally, a previous intermediate level ascent of Mt. Rainier is required. At least two technical ascents of steep snow/ice routes of over 3,000 vertical feet. Such as climbs found in the North Cascades: North Ridge of Mt Baker, North Face of Mt. Shuksan, North Face of Mt Buckner are good examples, but other similarly difficult climbs elsewhere can also apply. Routes should be Grade III or IV minimum with ice climbing up to WI 3-4.